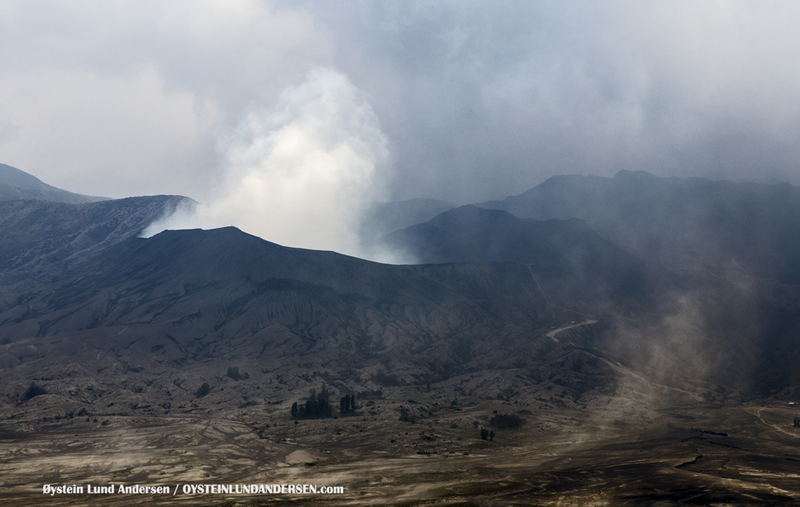 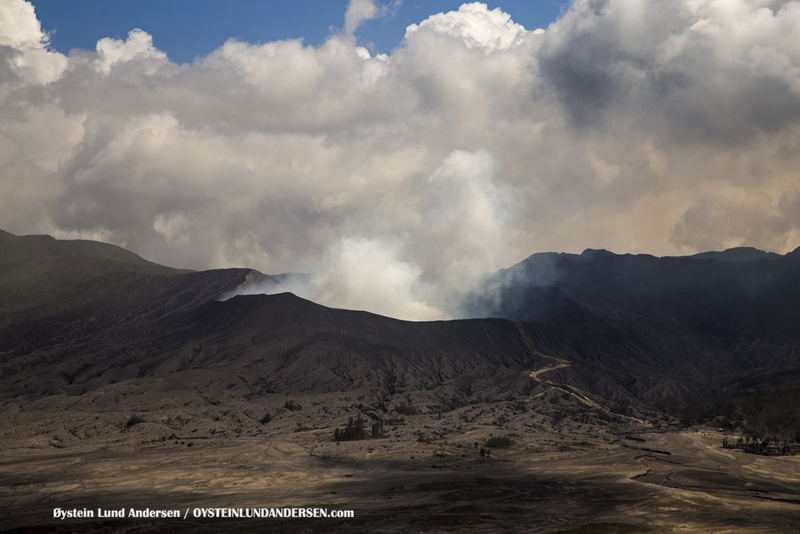 Bromo was emitting a modestly intense gas plume troughout the day. 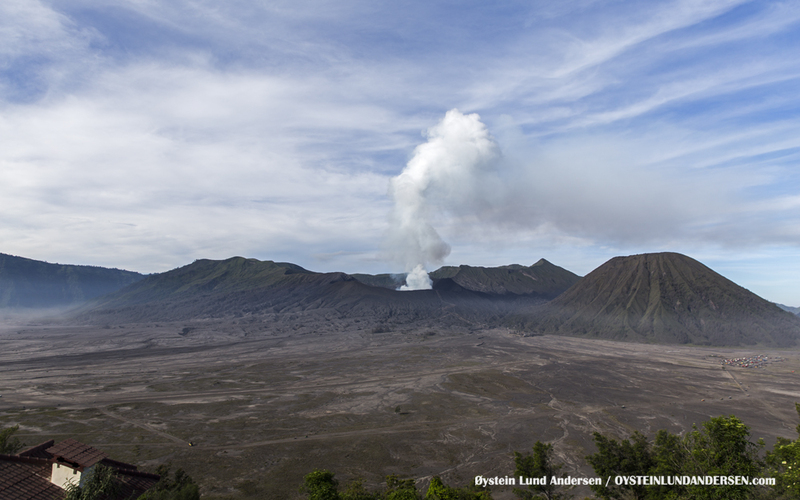 No eruptive activity was observed. 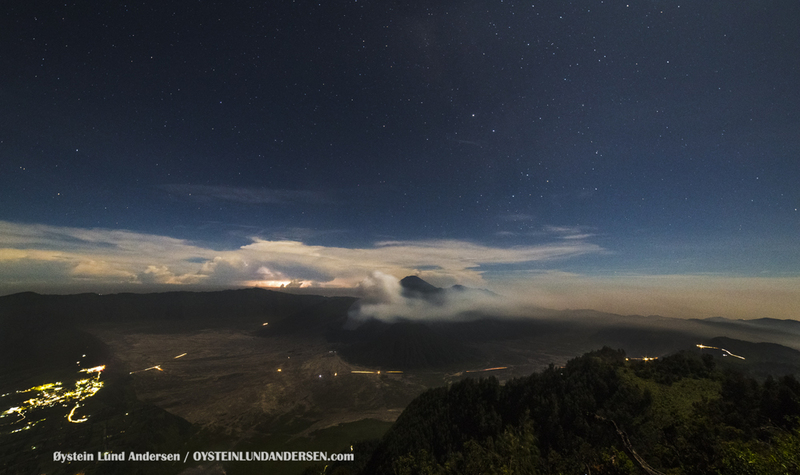 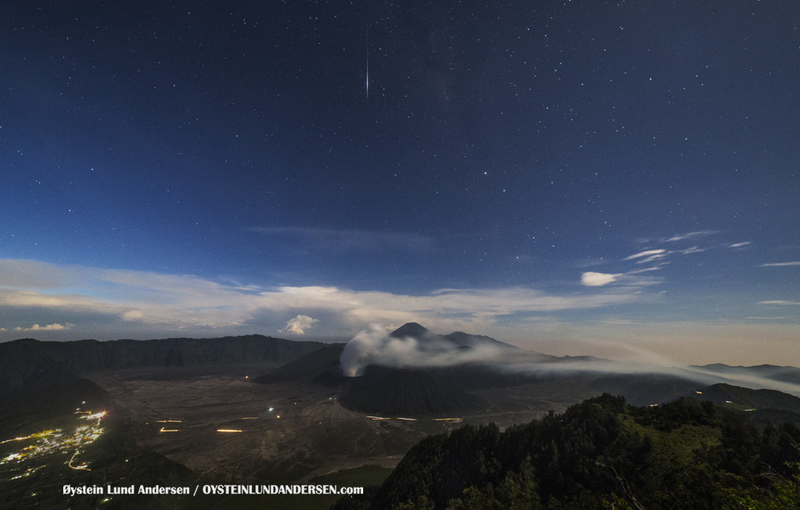 Bromo emitting a modestly dense plume, while a small meteor strikes trough the night sky. 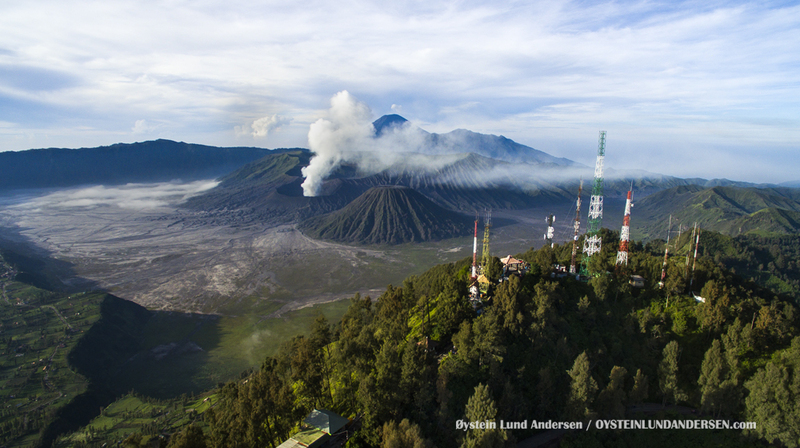 Aerial view of Mt. 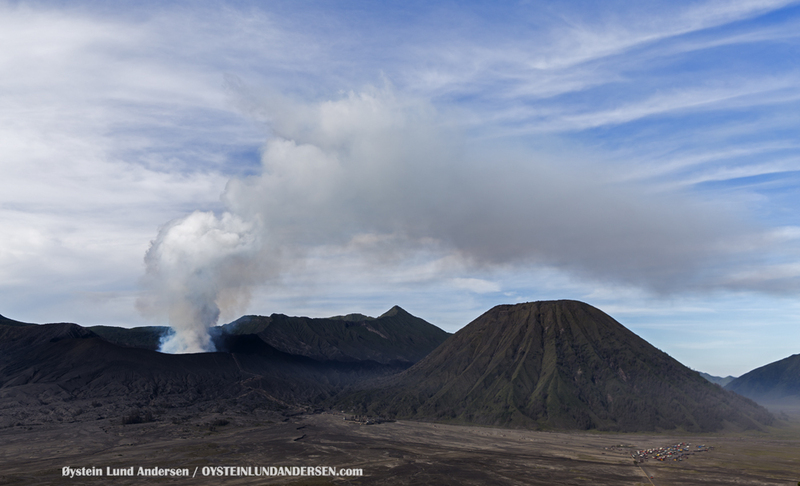 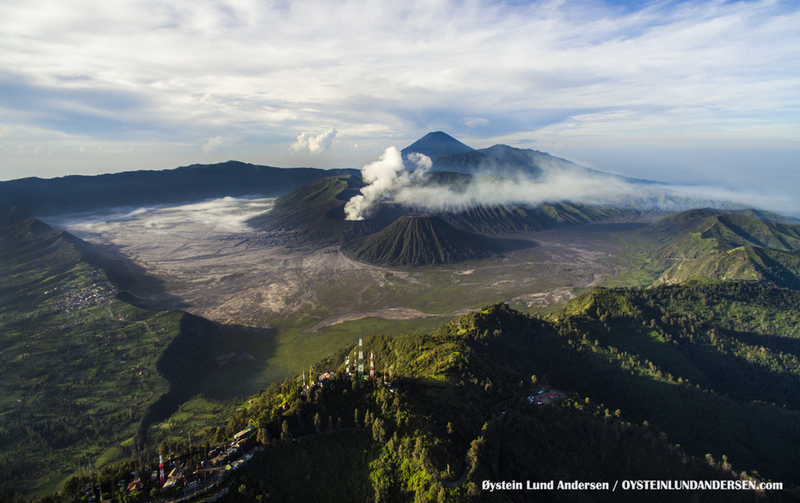 Penanjakan (front) with the whole Tengger Caldera, Bromo and Semeru in the background. 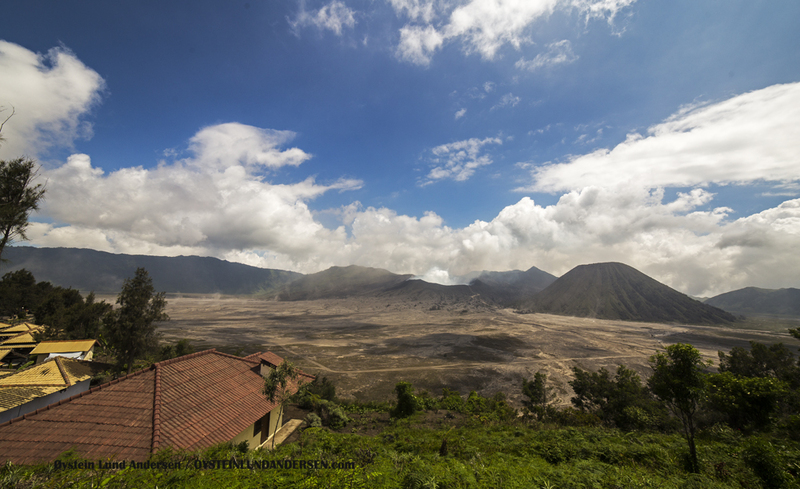 Penanjakan is the most visited viewpoint that people use to watch the sunrise. 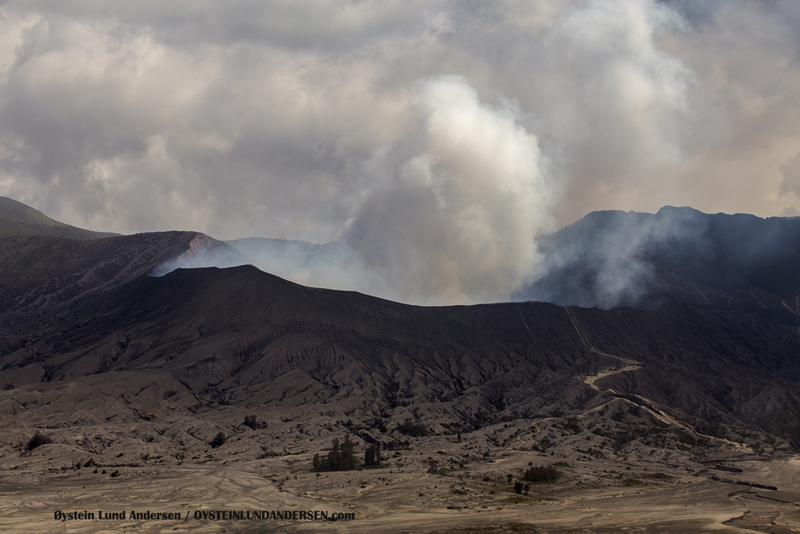 The activity level of Bromo dropped before my last visit to the area (19-21th February), and it remained similar during this visit. 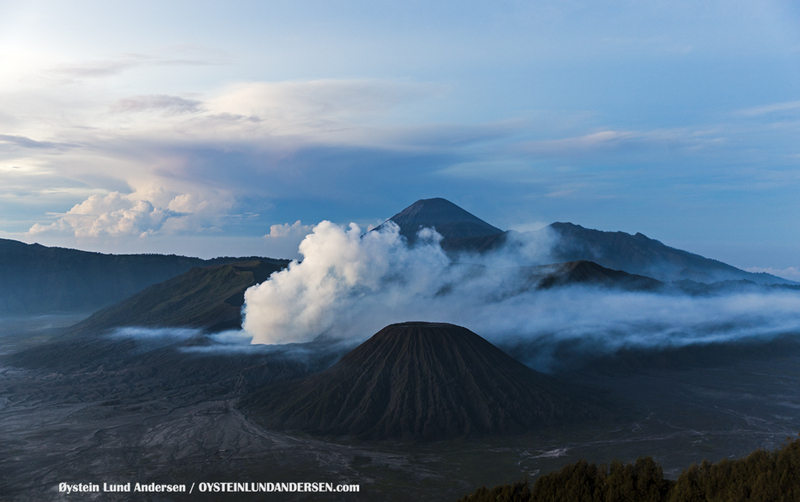 Gas emissions however were modestly intense. 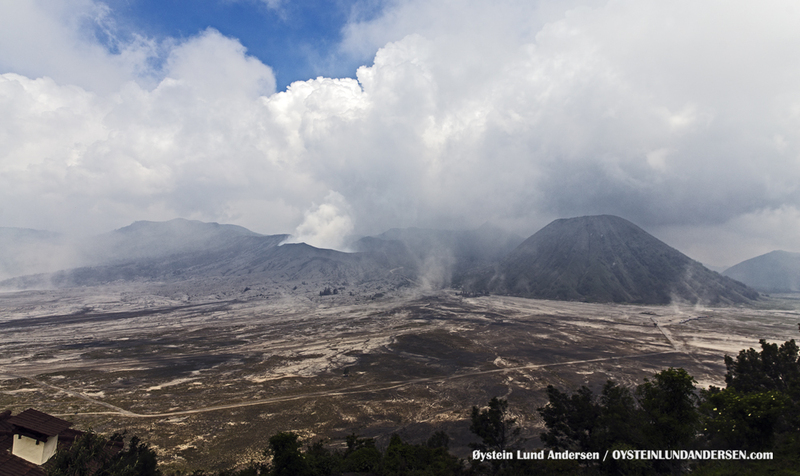 The Indonesian Volcanology Survey (PVMBG) are still recording some volcanic tremor coming from the volcano.